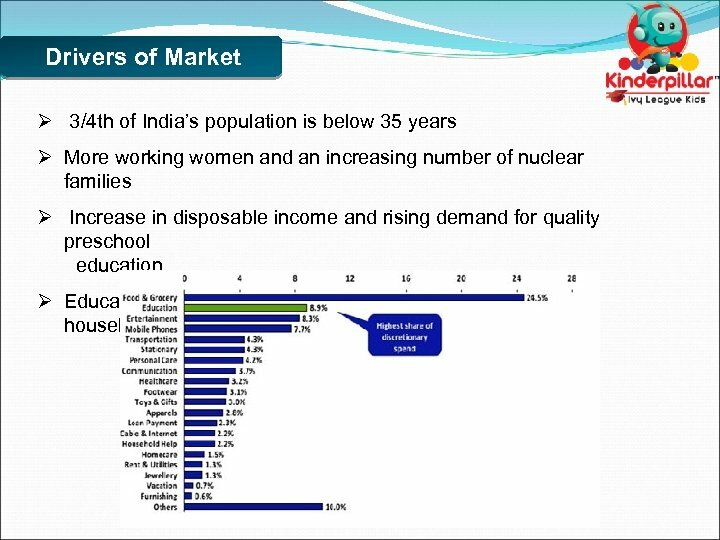 Drivers of Market Ø 3/4 th of India’s population is below 35 years Ø More working women and an increasing number of nuclear families Ø Increase in disposable income and rising demand for quality preschool education Ø Education is second biggest expenditure of middle class households. 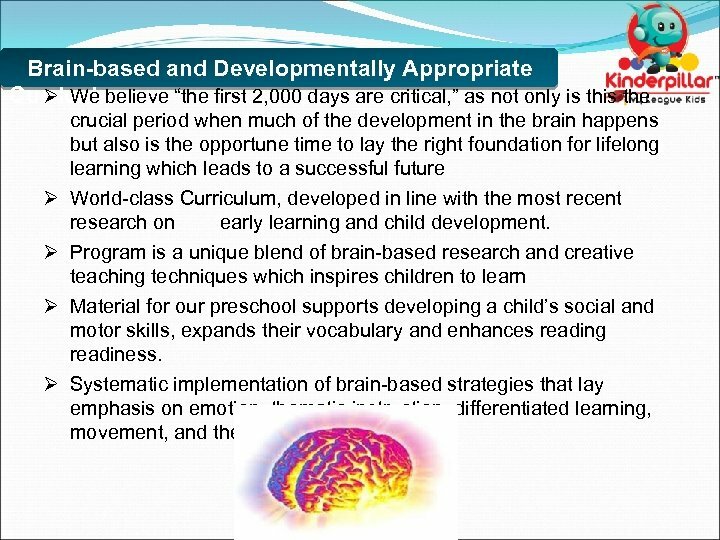 Brain-based and Developmentally Appropriate Ø We believe “the first 2, 000 days are critical, ” as not only is the Curriculum Ø Ø crucial period when much of the development in the brain happens but also is the opportune time to lay the right foundation for lifelong learning which leads to a successful future World-class Curriculum, developed in line with the most recent research on early learning and child development. 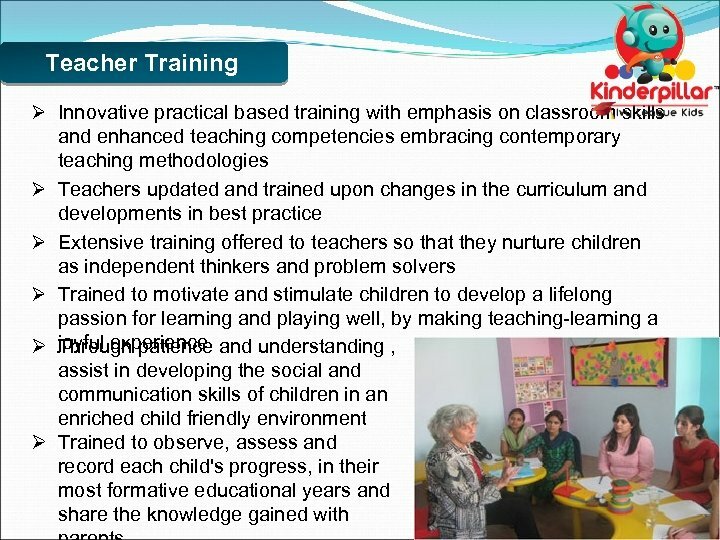 Program is a unique blend of brain-based research and creative teaching techniques which inspires children to learn Material for our preschool supports developing a child’s social and motor skills, expands their vocabulary and enhances reading readiness. 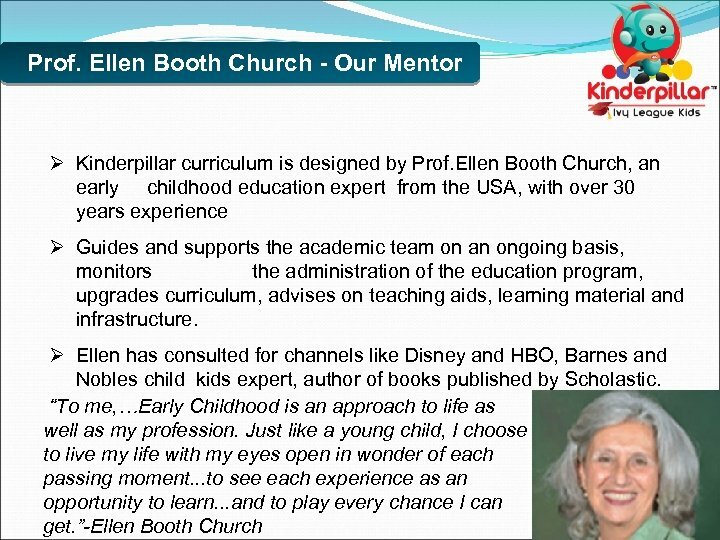 Systematic implementation of brain-based strategies that lay emphasis on emotion, thematic instruction, differentiated learning, movement, and the use of mental models. 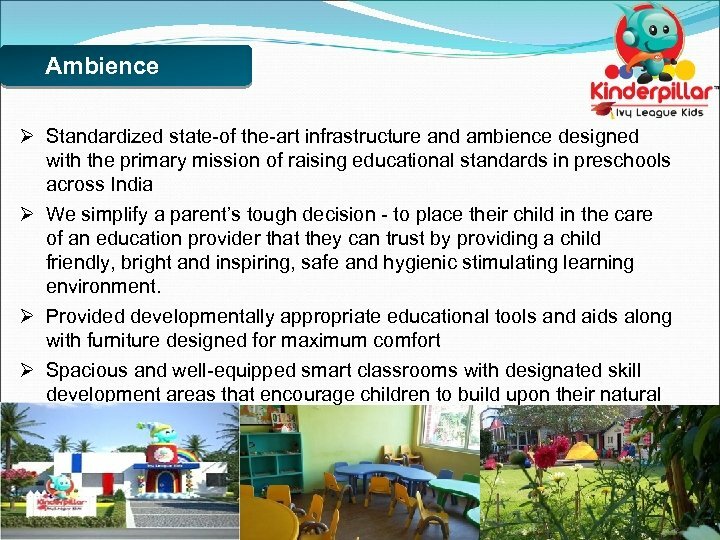 Ambience Ø Standardized state-of the-art infrastructure and ambience designed with the primary mission of raising educational standards in preschools across India Ø We simplify a parent’s tough decision - to place their child in the care of an education provider that they can trust by providing a child friendly, bright and inspiring, safe and hygienic stimulating learning environment. 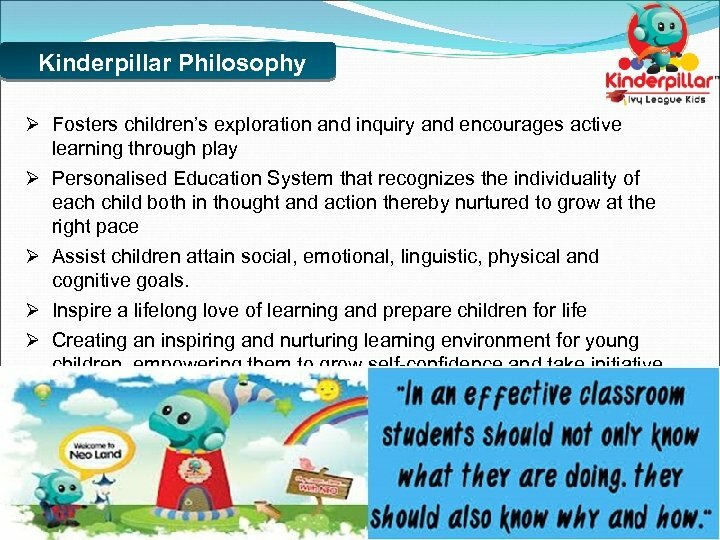 Ø Provided developmentally appropriate educational tools and aids along with furniture designed for maximum comfort Ø Spacious and well-equipped smart classrooms with designated skill development areas that encourage children to build upon their natural curiosity and creativity Ø Designed for an excellent Teacher to Child ratio in classrooms. 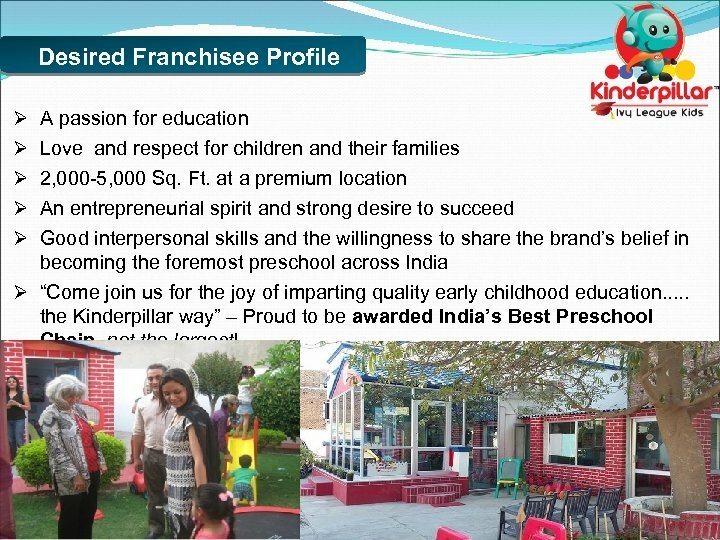 Desired Franchisee Profile Ø A passion for education Ø Love and respect for children and their families Ø 2, 000 -5, 000 Sq. 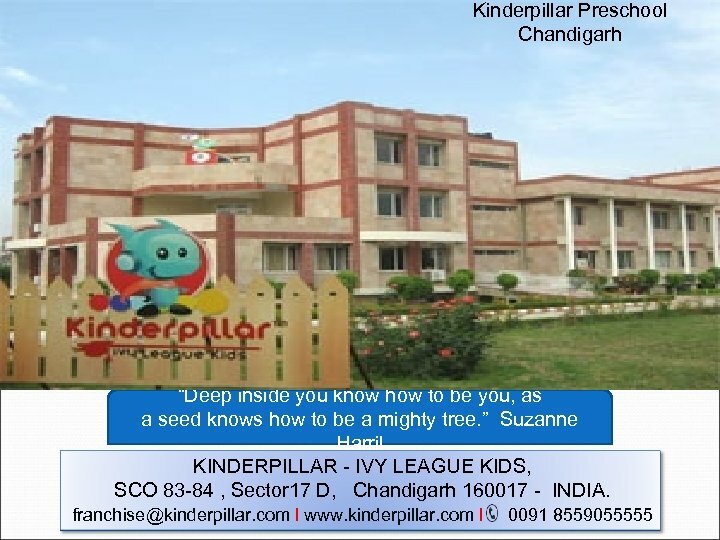 Ft. at a premium location Ø An entrepreneurial spirit and strong desire to succeed Ø Good interpersonal skills and the willingness to share the brand’s belief in becoming the foremost preschool across India Ø “Come join us for the joy of imparting quality early childhood education. 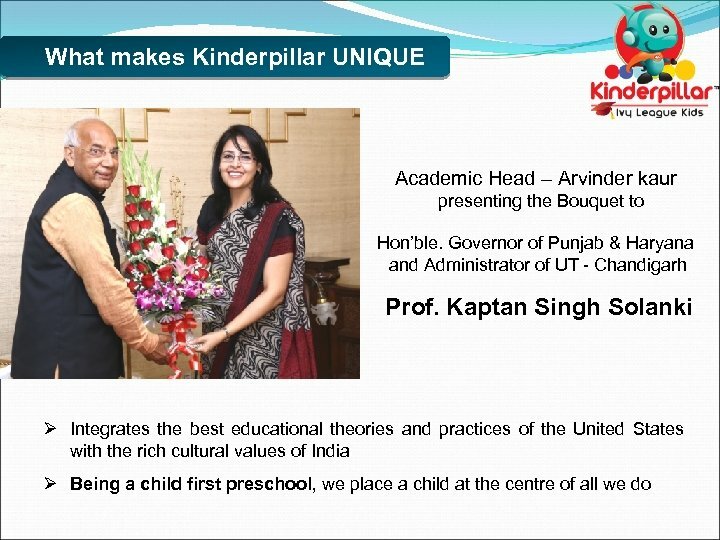 . . the Kinderpillar way” – Proud to be awarded India’s Best Preschool Chain, not the largest! 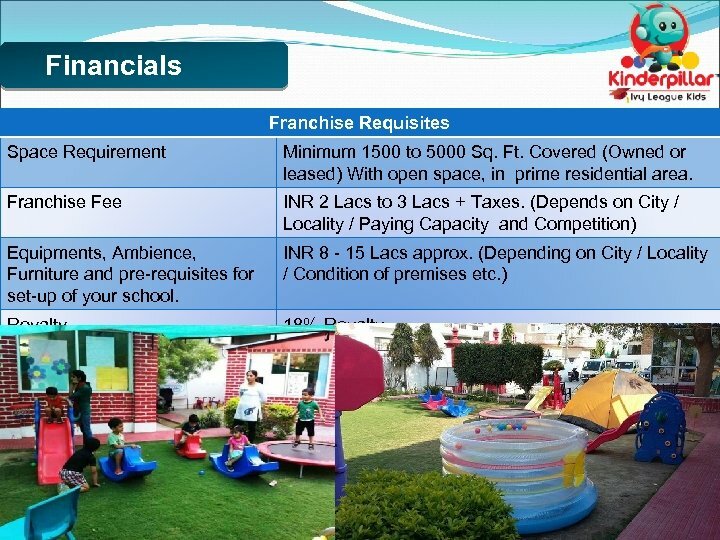 Financials Franchise Requisites Space Requirement Minimum 1500 to 5000 Sq. Ft. 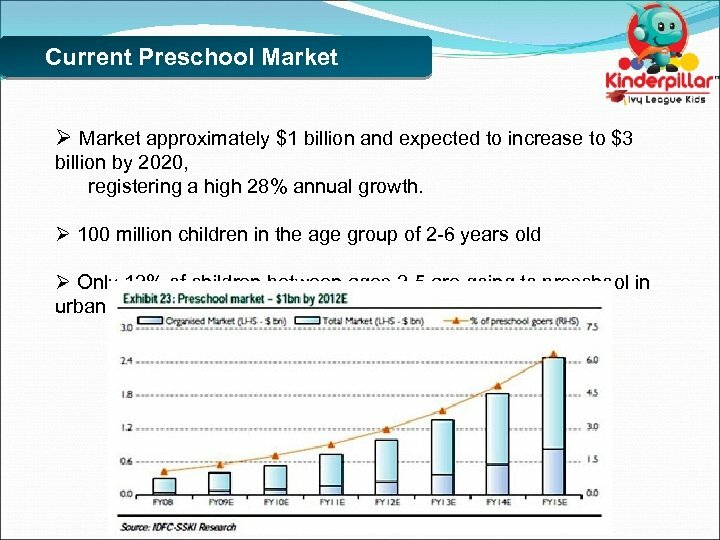 Covered (Owned or leased) With open space, in prime residential area. 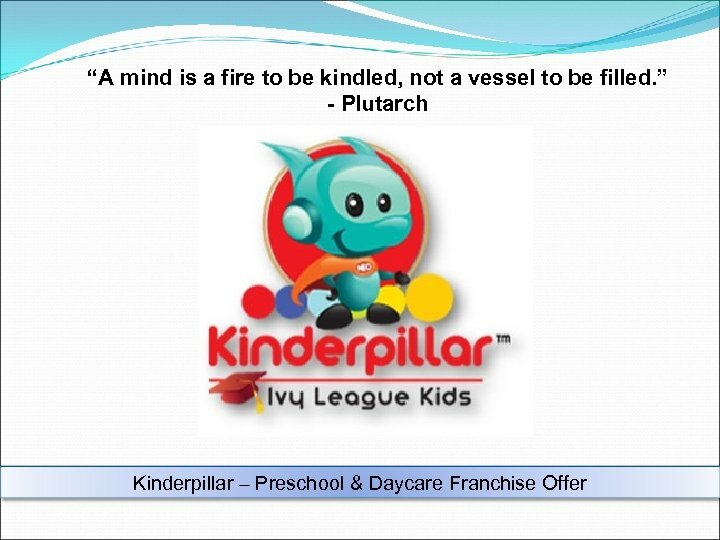 Franchise Fee INR 2 Lacs to 3 Lacs + Taxes. 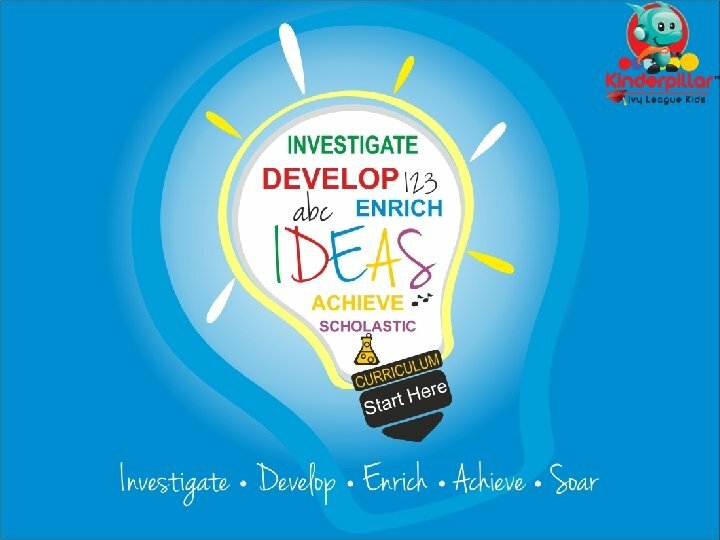 (Depends on City / Locality / Paying Capacity and Competition) Equipments, Ambience, Furniture and pre-requisites for set-up of your school. 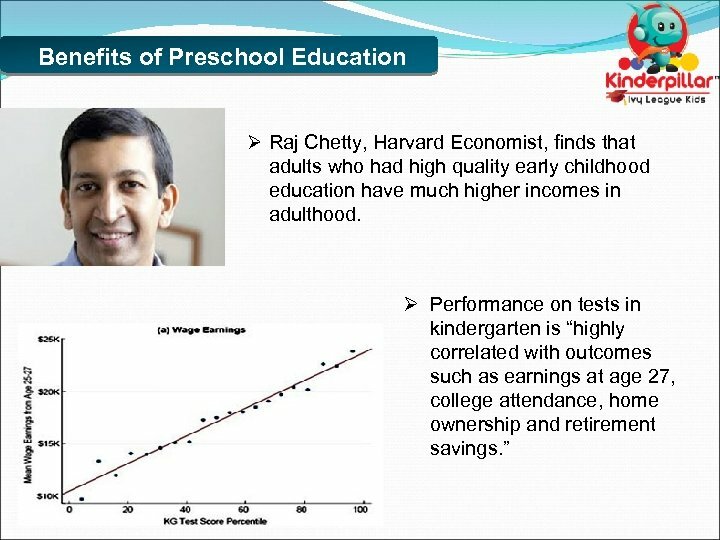 INR 8 - 15 Lacs approx. 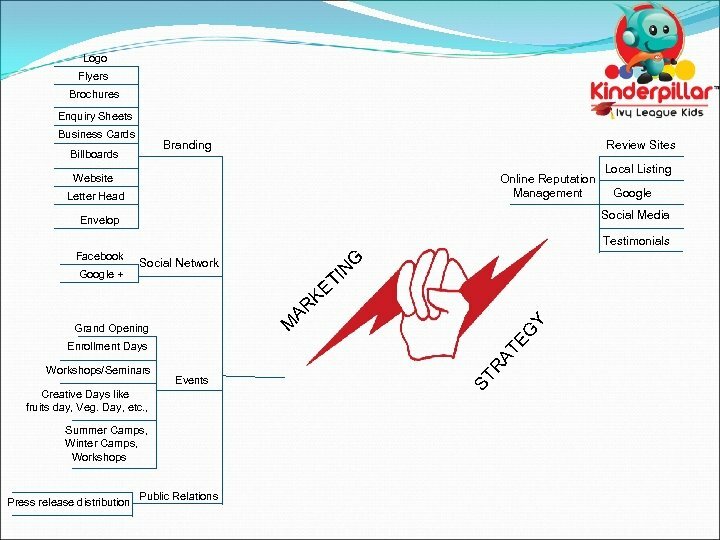 (Depending on City / Locality / Condition of premises etc. ) Royalty 18% Royalty.